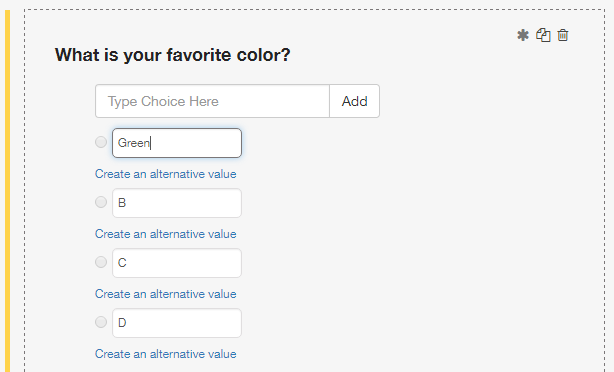 Once you are in the desired field, click on the option you wish to modify and type a new name. Click ‘Close Me’ to save and close. This will work similarly for all field options. To add more options see this article. To add alternative values see this article.